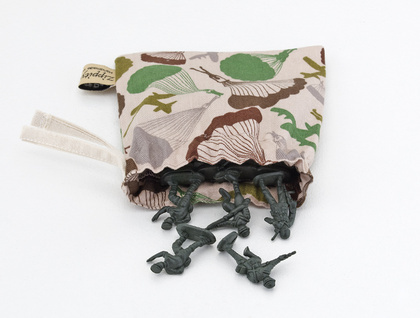 An instant army ready to be deployed anywhere, anytime. Because lets face it, sometimes it good to have a whole army on your side. 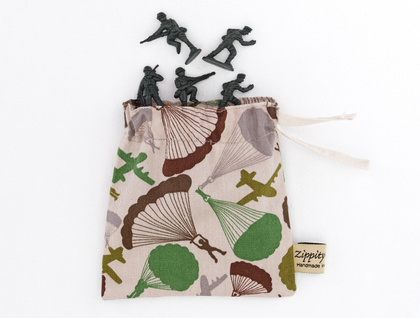 NZ Made drawstring bag contains plastic army. This item has an attached tag which explains just how awesome your army is, as well as side splitting Disclaimer on reverse of tag. A perfect gift for any army crazy kid, or someone who needs their own personal army to help them through life. 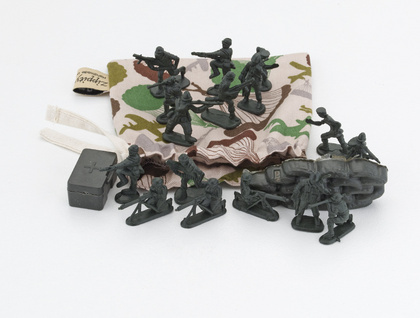 Retro Cool - remember the hours of fun you had playing in the dirt with your soldiers? Pass on the wonder of real dirt play to the kids in your life. 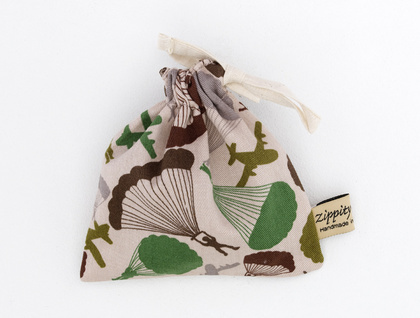 Drawstring Bag size approx 13cm x 14cm. Drawstring is attached to bag so can not be lost. Suitable for anyone with a sense of humor. copyright 2011 E Berge for ZippityDooDah.